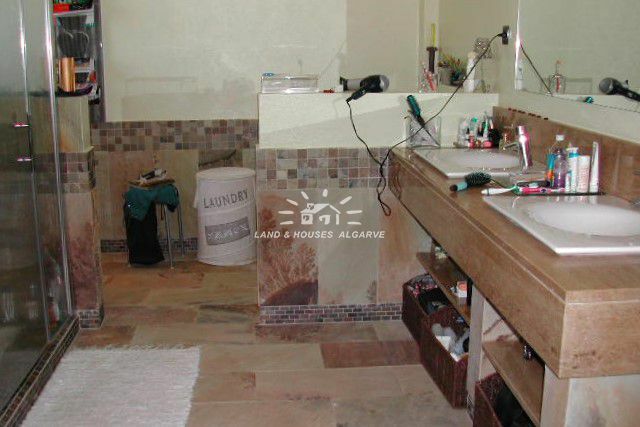 This comfortable 3 bedroom property has been build to the highest standards and it comprises of a entrance hall which is openly connected to the large living room with dining area (56m2) with beautiful marble stone floor tiles. 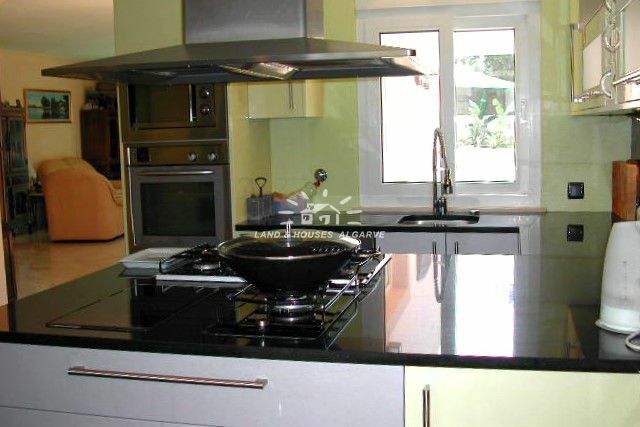 Very modern spacious kitchen (20m2) with Black granite worktop, electric and gas cooking island with separate build-in microwave, dishwasher and an American double fridge-freezer and with direct access to a small utility room and the garden. Separate breakfast area. On the ground floor there are 2 good size double bedroom swith build-in wardrobes and 2 bathrooms (one en-suite). On the first floor you have a large master bedroom with walk-in wardrobes and en-suite bathroom with Jacuzzi corner bath, separate walk-in shower, all with beautiful natural stone tiles on floor and walls and access to a small balcony from where you have lovely distant sea views. The property has double glazed windows with electric roller blinds set in PVC frames, mosquito screen and electric under-floor heating system throughout with individual thermostats in each room. Heat insulation has been incorporated in the walls, the roof and under the floor. An air-exchange circulation is also installed in the house to ensure no humidity is in the house.The property has a very light and bright atmosphere. 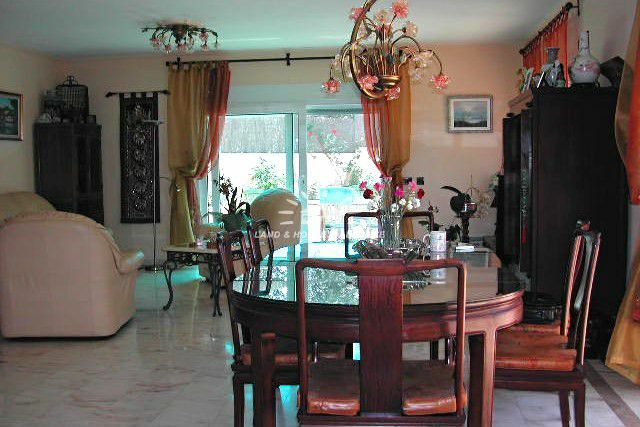 From the living area you have direct access to a well maintained and lovely walled and fenced in garden with full auto-irrigation system and a salt water swimming pool (9x9m) which can be changed into a chlorine pool. Solar powered hot water boiler system (200 litre water). Connection for Sat-TV, cable T, broadband ADSL, video intercom system and alarm system. Access to the property through an electric entrance gate onto the good size parking area. Good road access and close to all amenities of Porches and Arma? ?o de P?ra. 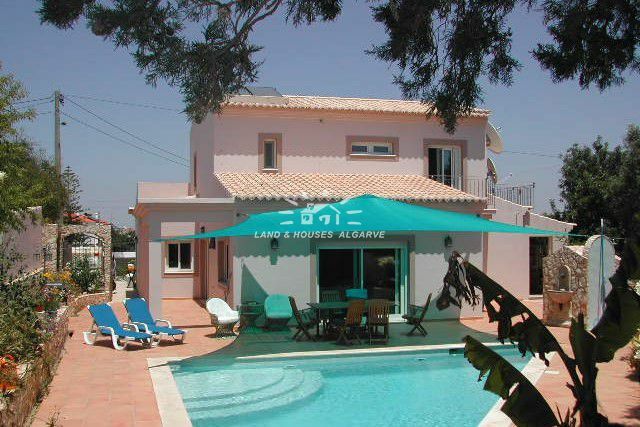 Because of the convenience of the location, this property can be an ideal home or holiday house. Fully furnished !! !